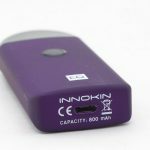 Innokin has become a true specialist in mouth to lung inhalation (MTL) and equipment allowing beginners to put all the chances of success on their side. 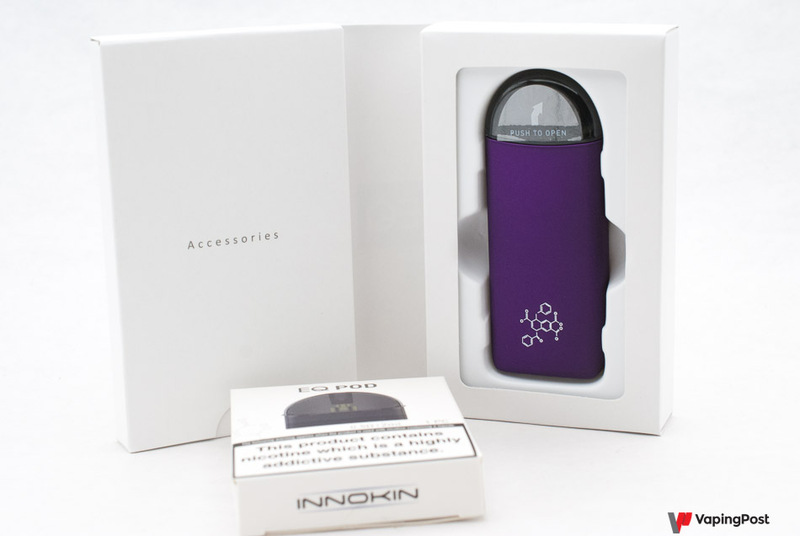 With this EQ, the brand explores a more vigorous vape, on the basis of an innovation: to use in a pod different coils, the plexus, constituted not by a wire, but by a grid. 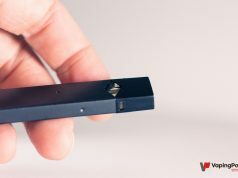 With this EQ, the brand explores a more vigorous vape, on the basis of an innovation: to use in a pod different coils, the plexus, constituted not by a wire, but by a grid. The result is interesting. Is it really a pod? 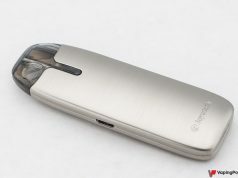 Obviously yes: it has the format (8.8 cm) and the battery (800 mAh). Note aside that its finishes are good, and that its matt coating does not take fingerprints. 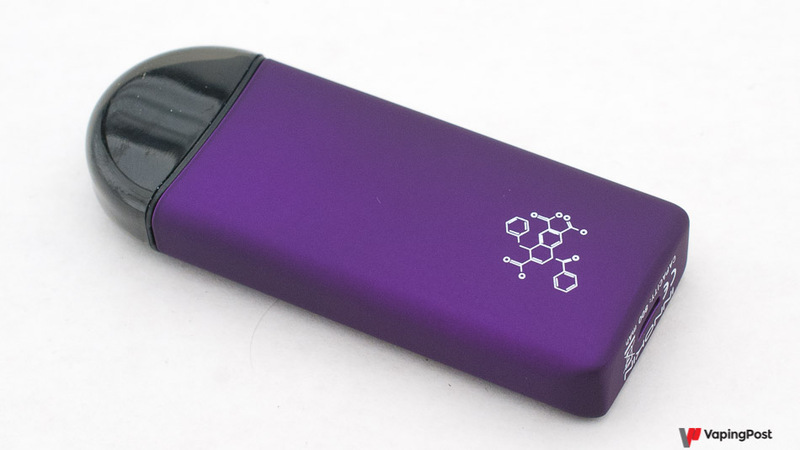 As on the other pods, the fillable tank contains the coilhead and slides on the battery. 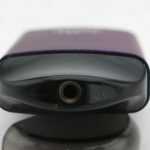 To fill this tank, before inserting it, it is necessary to turn its lower part, to discover 2 holes. The tank is in two parts, to be filled separately. 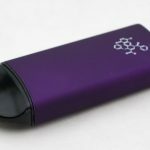 A USB plug recharges the battery in about an hour. Before using it, you should remove the cap, pressing it on the side, to uncover a tip wide enough, but perfectly ergonomic for the lips. Vapor is inhaled indirectly, as on all pods. Okay, so it’s a pod. How is it different? 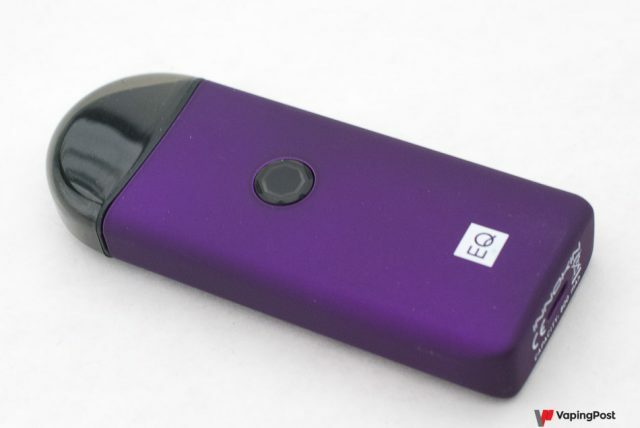 While most pods do not have a button and only one operating mode, the EQ is not automatic, it has a firing button. 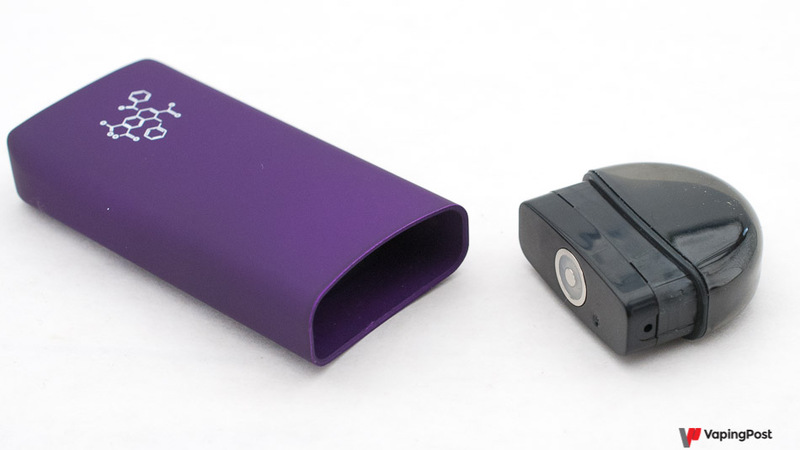 This button has 3 functions: firing to vape, switching on or off the pod in three clicks, and choosing between two powers: 13.5 and 15.5 W. To change the power, first switch off the pod, then press and hold the button until the LED changes colour : white = 13.5 W, red = 15.5 W. The difference seems small, but it is sensitive, we will come back to it. 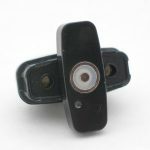 But the main difference is not visible: it is the nature of the integrated coil in the tank. It uses a grid rather than a wire, promising more flavors and throat hit. And indeed, its hit is powerful, very powerful, while the defect of pods is often to offer a slightly weak hit. Concerning flavours and vapor production, the grid does not seem to me to really change the deal compared to good classic pods: they are in the good average. In the end, the difference is that the EQ is at the level of its best competitors, but more “fished”, much more fished. 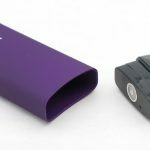 Innokin also announces a longer coil life. I can’t confirm it yet, I don’t have enough vaper to rinse the resistance, but it seems right that in other systems, mesh or grid coils last much longer than their wire counterparts. The EQ is delivered in a white box, with a cable and instructions for use. There is no spare tank in the pack, they are sold separately, in individual boxes (in the foreground). These grids are very thin, so they heat faster and over a larger area than regular wires, so they bring a stronger vape. Their resistance value is also lower, which increases the power, which must be controlled here. With a conventional 3.7 V battery, we would have a power of 28 W, which would be far too much for this kind of MTL vape style. 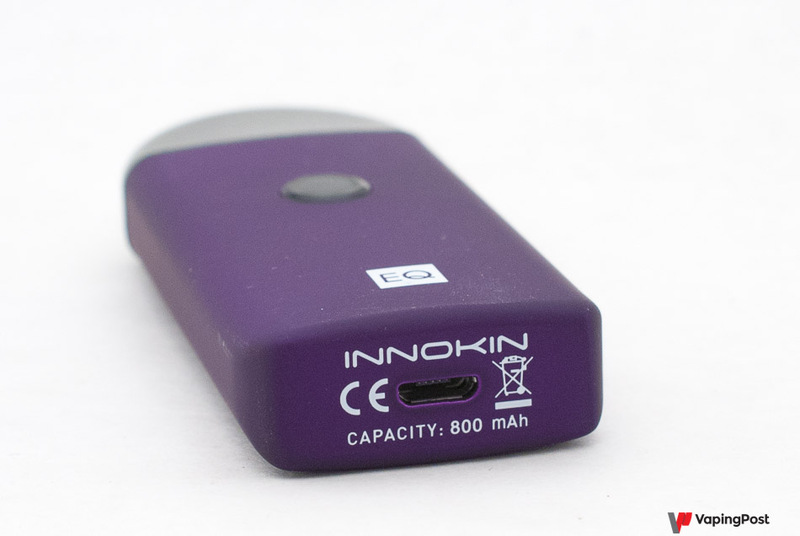 Innokin has therefore equipped its pod with a battery and electronics that produces 2.6 V for 13.5 W power, or 2.8 V for 15.5 W.
To simplify, the EQ has more guts because it consumes more energy, and the 800 mAh battery will not last as long as on a conventional pod. We can count on 130 to 160 puffs, the equivalent of 10 to 15 cigarettes. This might not seem enough to last a day with a classic pod. 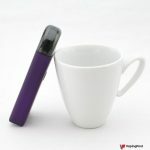 But the strenght of it makes that one needs less puffs to satisfy its needs in nicotine, at equal rate in the liquid. 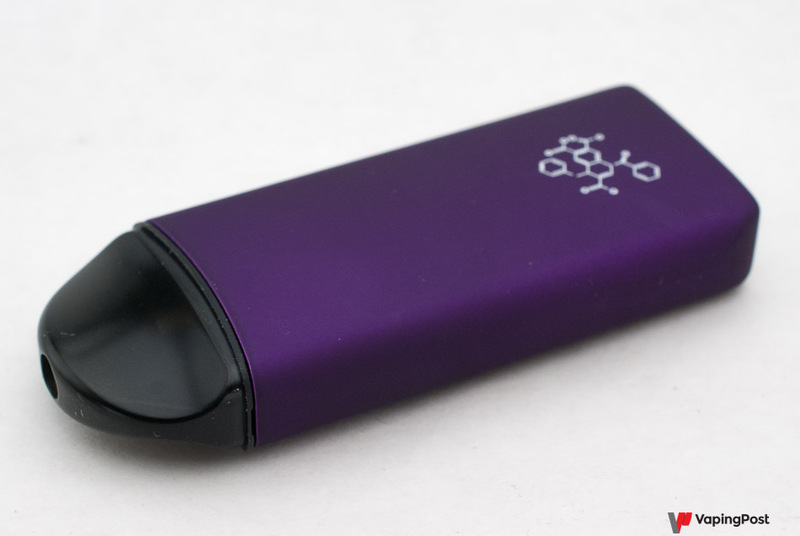 To sum up: if you like the hit and you want to vape harder but less often, it’s the pod you need! 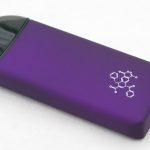 According to my personal experience, with a liquid nicotine salts dosed at 20 mg, you get your dose in 5 puffs with EQ, against 12 on average for a cigarette, and 10 to 15 with a conventional pod. In short, this pod is not only innovative, it is excellent, on one condition: love and support an important hit. 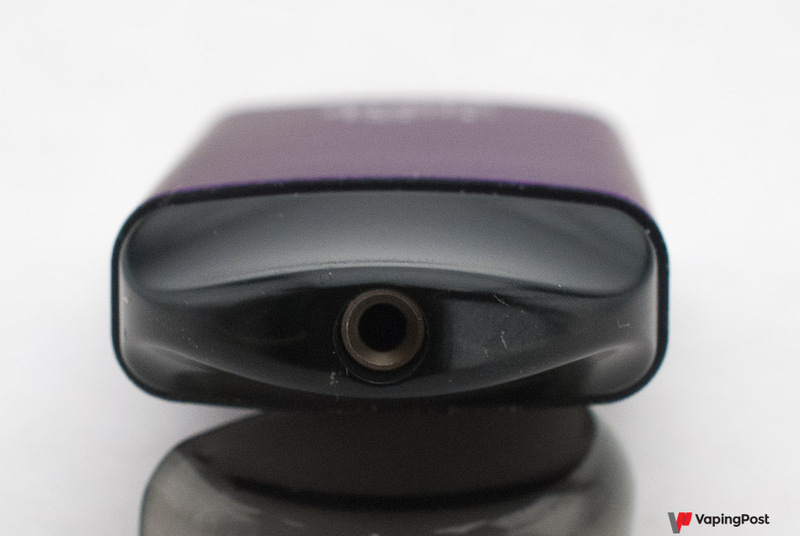 Despite the obvious quality of design and production of this pod, Innokin forgot something very silly. When changing the vape power, the LED changes from red to white, or vice versa. But when you go, the button lights up white, to confirm the firing, whatever the power chosen. 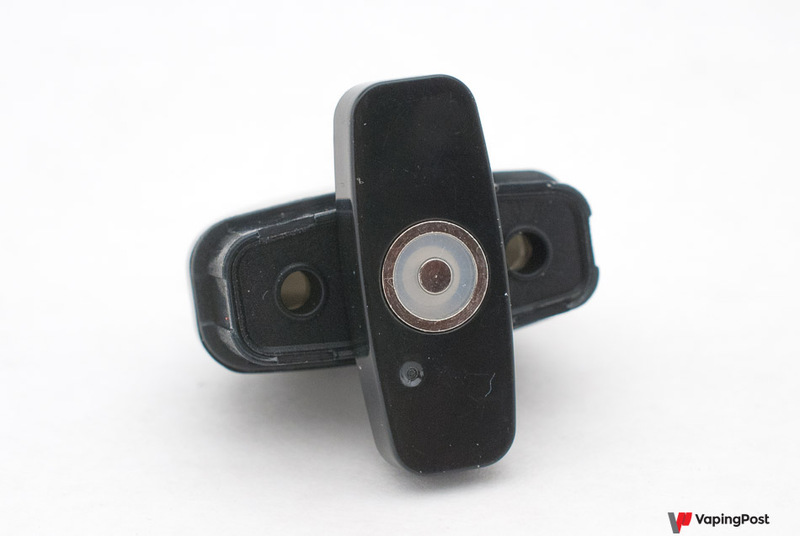 To know it, switch the pod off and on again: when it is switched on, the LED flashes white or red depending on the current power. It’s not a hindrance, just a little detail forgotten. This article has been partially translated from french to english with a software. Please excuse us for any mistakes that could have caused. This pod is excellent, and the only one of its kind to my knowledge by the strength of its hit. This can also be a flaw: it will not suit those who like a sweet vape, that's what costs him half a point. 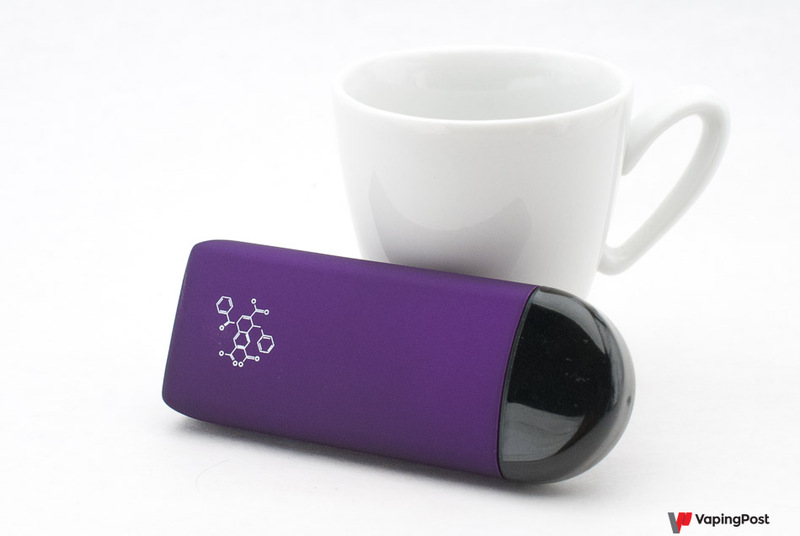 It's a strong pod, which can satisfy those who love the hit and need to find satiety quickly during a short break. 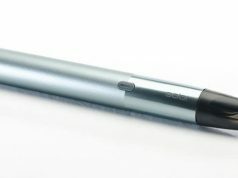 Reviewer for the Vaping Post in French, all my articles are translated. Please excuse any mistake they may contain. If you see one, please comment and I will ll amend my text.